Ads.txt stands for “Authorized Digital Sellers,” which enables publishers to provide transparent transactions. Sellers who are and aren’t authorized to sell their digital inventory are better monitored by publishers when using Ads.txt. Why is this such a big thing? As a recently developed method, ads.txt offers greater transparency within the supply chain for all parties. New technologies such as programmatic advertising leave non-official actors wanting a piece of the revenue pie, which threatens a clean way of ad trading. The ads.txt method of exposing counterfeit inventory and domain spoofing is due to its simple, flexible, and secure abilities. IAB describes counterfeit inventory as an intentionally mislabeled inventory unit. Unauthorized sellers offer counterfeit inventory to buyers such as advertisers. This is in hopes of selling fraud and invalid traffic, which will attract higher prices. Additionally, this is a way to bypass content as well as domain blacklisting. Domain spoofing is the illegitimate action of “sellers” who offer ad slots they are not officially authorized to sell. These networks commit faulty brand safety and increase fraud efforts of righteous SSPs, which leads to a great loss of revenues for all parties. “We believe in the idea of ads.txt and think that within programmatic advertising, transparency is more important than ever. 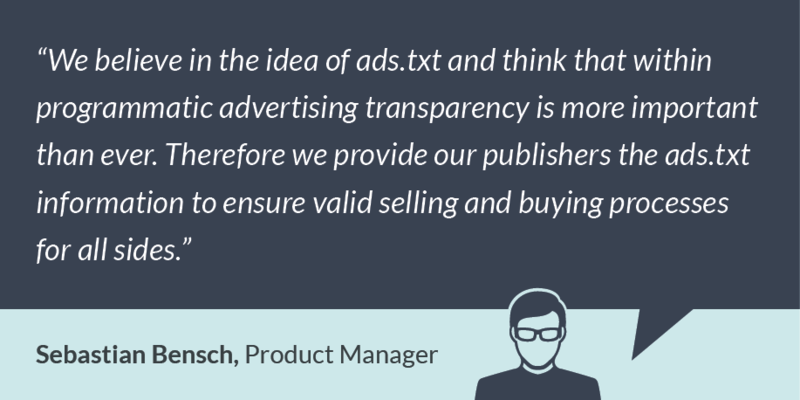 Therefore, we provide our publishers with the ads.txt information to ensure a valid selling and buying process for all sides,” says plista product manager, Sebastian Bensch. What are the benefits for the buy side? Advertisers desire transparent knowledge on their ad placement and what particular context the ad is in. Through the method of ads.txt, one can retrace his or her ad placement. In order to reach their target groups from the right media platforms, advertisers who receive greater brand safety are willing to pay the right price. What are the benefits for the sell side? Publishers lose control of content on their sites that are attached to their brands by blindly selling their inventory. 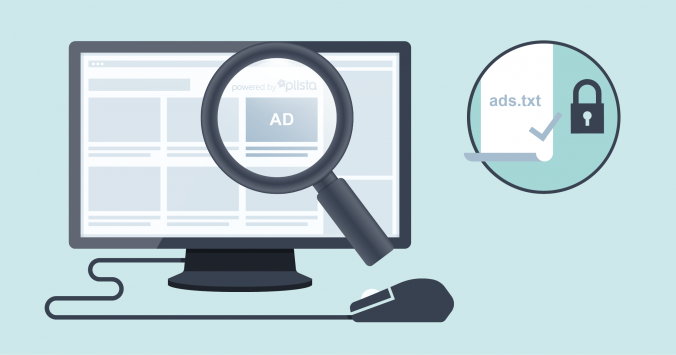 With reliable partners such as plista, publishers are sure to have user-centric ads on their sites, which offers users an added value. As a result, this can monetize publishers’ free content, ensuring a greater user experience. Through ads.txt, it is now possible for quality, ad-filled widgets and the avoidance of revenue loss committed by domain spoofing. What does it mean for plista publishers? If you have any further questions, your account manager will be happy to support. Feel free to contact us.